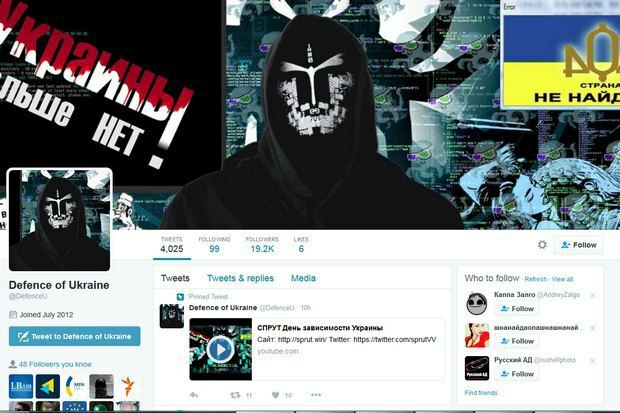 The Ukrainian Defence Ministry's Twitter account (twitter.com/DefenceU) appears to have been hacked to display anti-Ukrainian messages. The messages posted there imply the intrusion was carried out by some Sprut group. Although the @DefenceU account is not marked as verified, the Defence Ministry's official website links to it. In July, the secretary of the National Security and Defence Council, Oleksandr Turchynov, said at the meeting of the National Coordination Centre for Cyber Security that Russia's hybrid warfare included aggressive policy not only in Donbas but also in the cyber space.